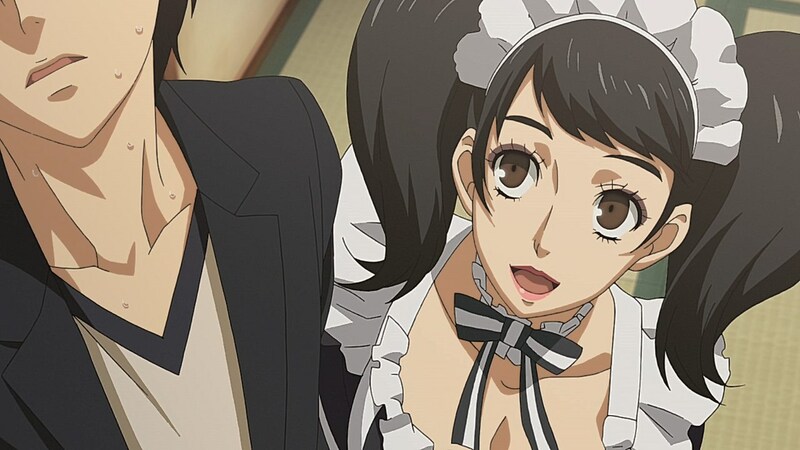 As the episode title suggest, we’ve hit the spiciest section of the game yet with “Operation Maid Watch“, the attempt Ren, Ryuji, and Mishima make to spend some quality time with a maid service that people call in for “reasons“. 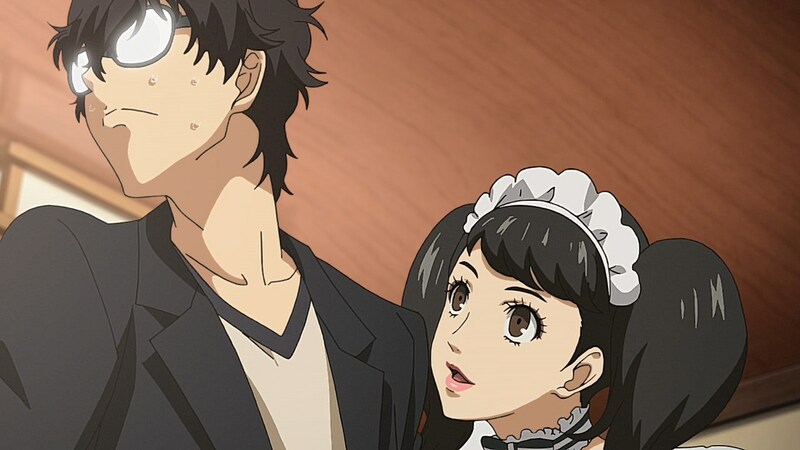 However, a major snafu is made when Ryuji and Mishima bail on Ren, leaving him to face the reality that the maid they called in incidentally ended up being his homeroom teacher, Sadayo Kawakami. After falling on hard times that have yet to be revealed, she’s resorted to making extra money by doing chores and massages for clients under the name “Becky”, yet has been rarely requested as of late. 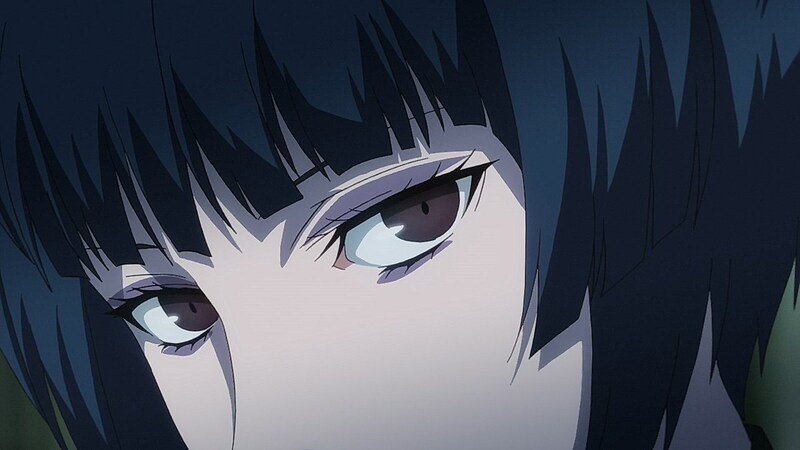 There are those who find her to be problematic considering that you have the option of sweeping her off of her feet despite having a section dedicated to teacher-student relationships gone wrong with Kamoshida’s arc, along with those who find the statutory aspects questionable with how even consensual relationships between teachers and students in high school come with jail time or condemnation. 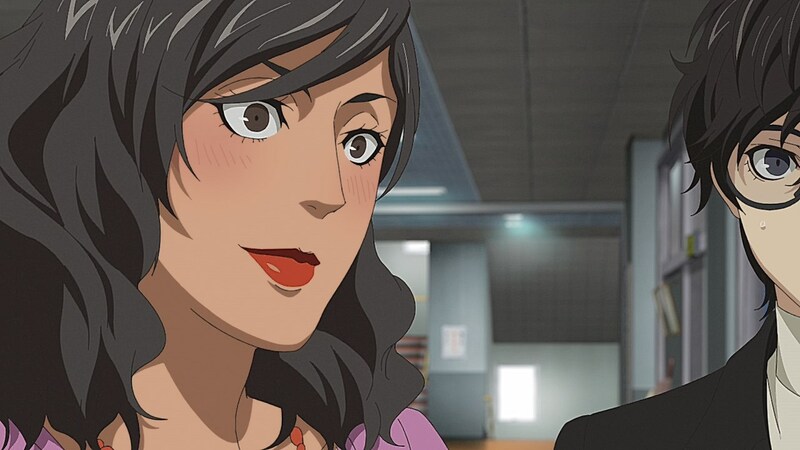 But in spite of the controversy behind Kawakami being a romance option, she’s a deeply fascinating character both in the game and the anime. I grew to get really attached to Kawakami and found her to be such an awesome person by the time her confidant route was over. 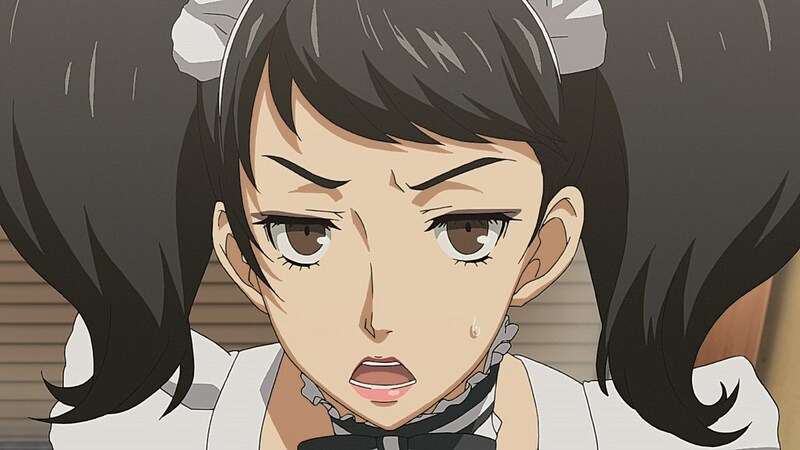 My own ranking of best girls in the game is very difficult as more than a few of them are well-written, but Kawakami would be very high up on that list. She starts off acting cold and desperate for any opportunity she can to distance herself from problem students like Ren, but as you start to learn about her after “Operation Maid Watch”, you learn about the circumstances behind her situation, help her out along the way, and eventually create a genuinely sweet bond even with the friendship option. 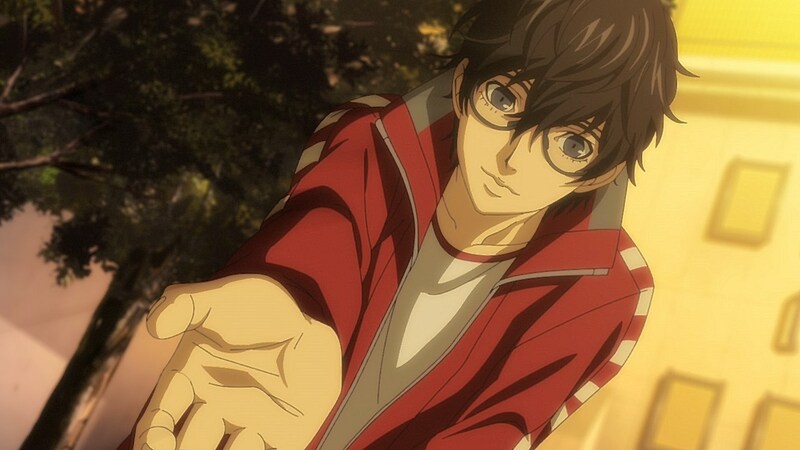 The anime actually does a great job at smoothing everything over as the beginning of her confidant is merged with the resolution of Ryuji’s confidant. 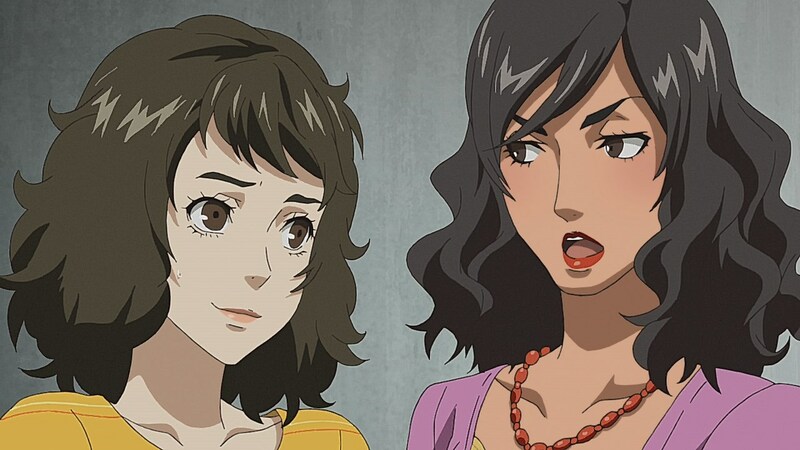 Whereas the beginning of the game’s route with Kawakami makes it feel like she’s worried about you blackmailing her constantly while you get excited about the taboo behind calling your teacher up to be your personal maid, the anime has it seem like Ren gets the idea to call her as Becky to talk about Ryuji. 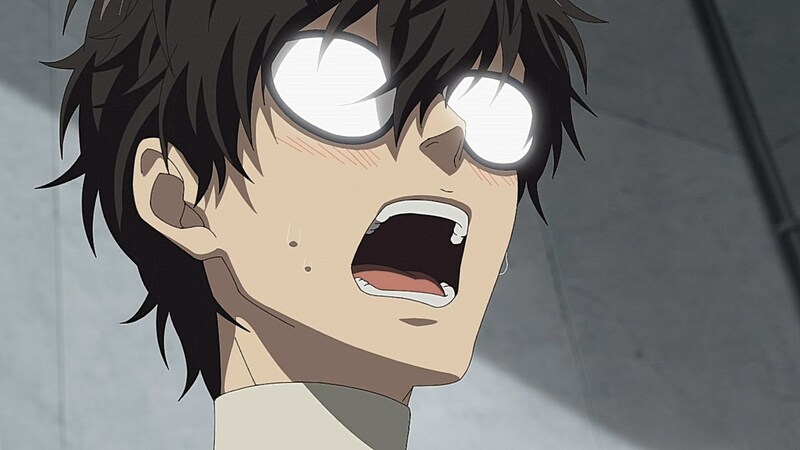 Rather than having it feel like you’re deliberately going into her confidant with the prospect of getting to “the best part” of dating your homeroom teacher, it smooths it over by both giving Ren the information he needs to help Ryuji out and offering Kawakami development as she gets a better understanding of Ren and Ryuji as students whose reputations were tarnished amidst Kamoshida’s chokehold on the student body. 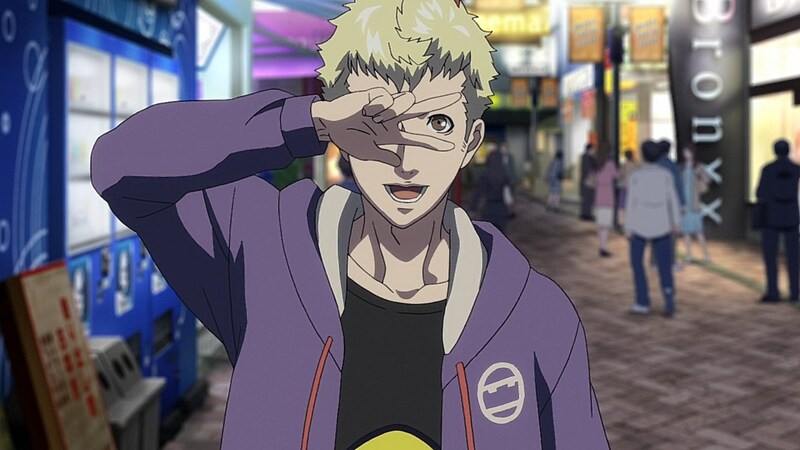 Ryuji’s confidant has the distinction of making him far smarter and nuanced than his behavior in the personality, especially since he comes off as understandable, calm, and smarter than you’d think if you just had his in-story attitude and actions to go off of. 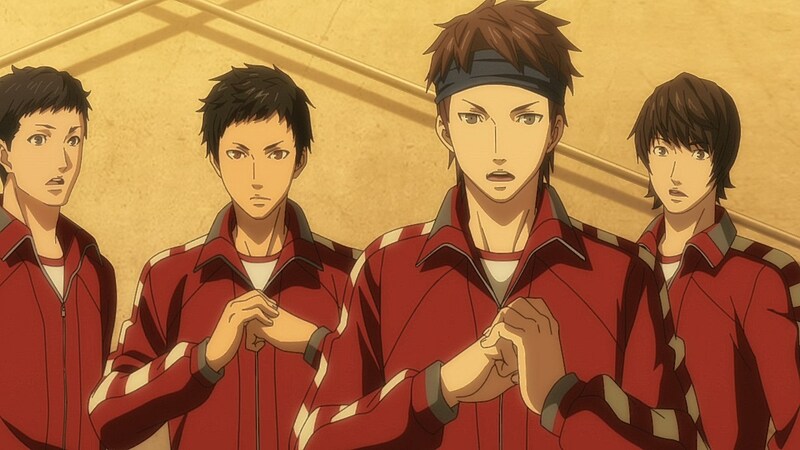 Ryuji goes above and beyond to make amends with his old club and temper their attitudes by ensuring their new coach won’t exploit the old team that is planning on reuniting. 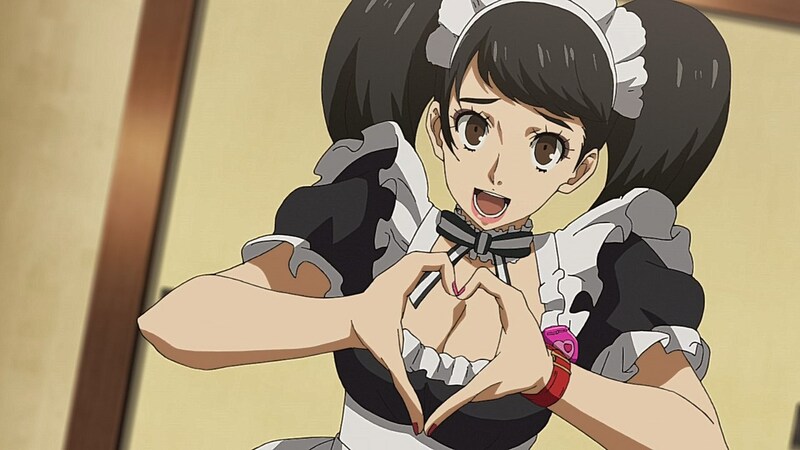 Though we won’t be certain how much of a blabbermouth Ryuji will be about wanting to be famous or out himself as a Phantom Thief to almost everyone he meets, it did do a great service to Kawakami by having her continue her route with Ren not out of fear of being outed or the promise of in-class perks like reading/crafting tools during class, but because she is rediscovering the spark that inspired her to be a teacher in the first place. 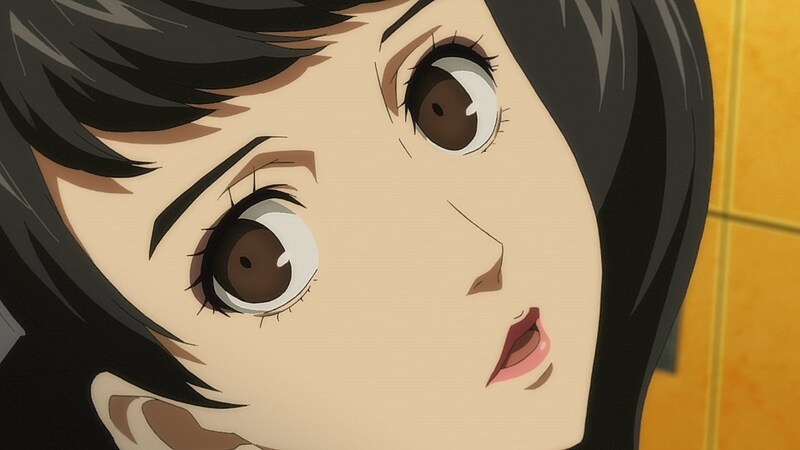 They did get into the massage perk Kawakami’s confidant gives at a far quicker pace, but it might make for some comical material about how her massages are your only line of defense against Morgana telling you to go to sleep all the time. What also made this episode great was how much of the game’s spirit is starting to shine in many of its nods to the side cast and mechanics from the original. As someone who’s wild about side characters, I was ecstatic to see that they kept in the quirky students at school like the newspaper club’s president who you talk to about the game’s events despite her hesitation to tell you, the librarian who is confused about why you would want to keep renting books from the school library, the lunch crowd where you can purchase quality bread items, and the stalker girl who constantly finds herself enraptured by the boy she’s staring at. 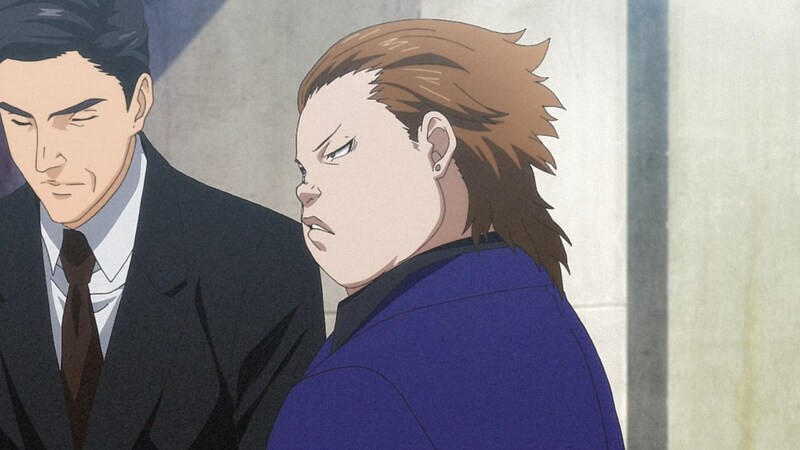 Early appearances of Haru are also appreciated as well since she was neglected for much of the beginning despite being a student at Shujin. 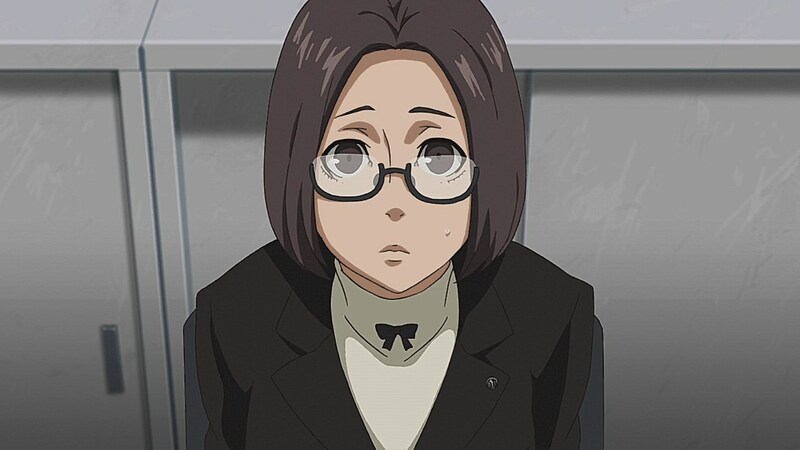 It was also nice to see more of Ms. Chouno as her concern for the school’s reputation is alleviated with how inspired she is by the idea she was given that Kawakami is just deeply concerned about her students. 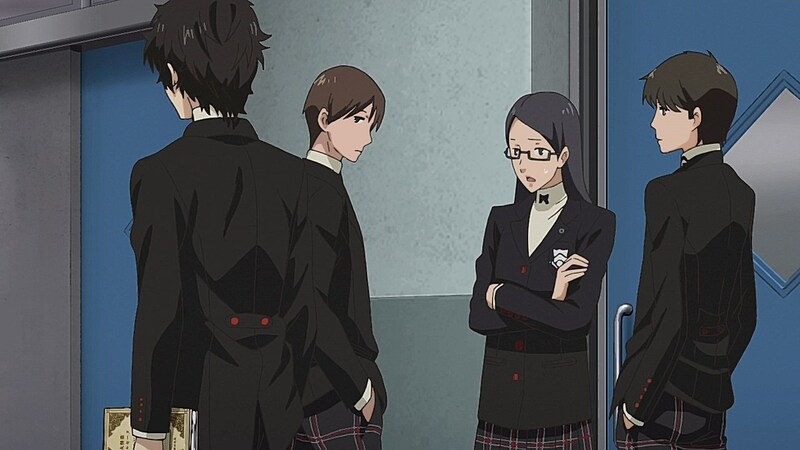 It might be amends for not including Funky Student in Persona 4 the Animation, but it’s nice to see they remembered some of the little things that made Shujin Academy fun to walk around in and converse with students at. They also included small mechanics that make the game easier like cleaning dirty scavenged items in the laundromat and the hot springs nearby where an old guy is constantly turning on the scalding hot water at. They’re small details that don’t directly affect the plot in a significant way, but I appreciate the effort this episode went into including them all in a way that doesn’t feel overly cluttered. Next time around, it’ll be cool to see Makoto in action as the Phantom Thieves take on their next target. 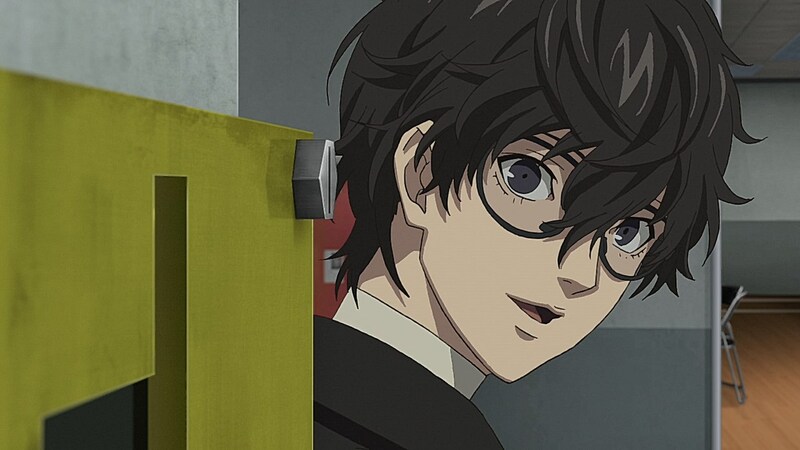 One thing I liked about this episode is how it gave Ren a little more personality, since the last few episodes barely had him say much beyond what you’d expect in a game with a silent protagonist. Yeah, the past episodes seem to put Ren on auto-pilot, but this time around, you see more of the eccentric part of him that’s in the games. It was funny to see his “I’m a dad” line left in. 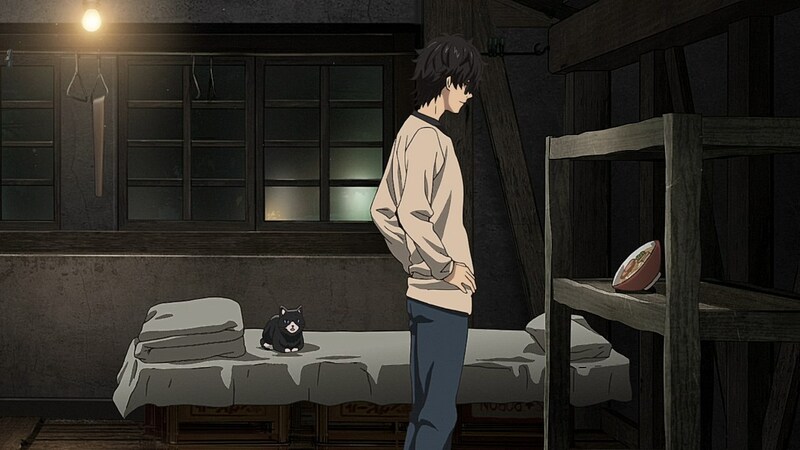 Hopefully it’ll be like Yu in Persona 4 where half-way through marked when he received a personality shift to reflect his social skills increasing. Nice link build episode. MC get more personality. I cant wait for the master race to finally join the party! Second best? More like THE best!! I was actually going to post about her being in a second place tie for best girl. My main favorites are the next two party members, but her story is just really well done. Whether you friend or date her, her growth during and after her confidant is excellent. I agree with you that maid teacher definitely has a top notch confidant. I would even say that she has the best storyline out of all the confidants in the game. The only thing reason why she’s gets second place in my book is because she doesnt have a lot of screen time. 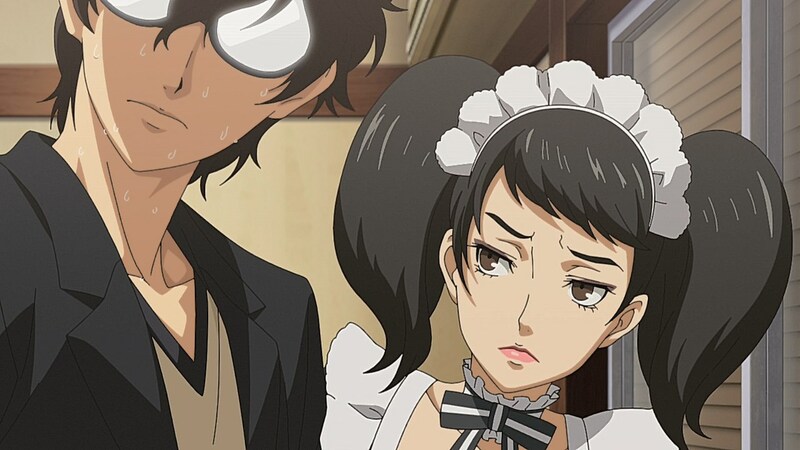 Kawakami’s confidant is definitely strong, but to me, it’s tied alongside Sojiro as the best confidant storylines. They’re both equally engaging and make it an imperative to fight for their justice. Thinking about it, it’s actually tough to pinpoint a list placement for best girls. I think second place for me is a tie between four of them, so that puts into perspective how there aren’t any wrong choices for best girl in P5. I definitely have a first place, but they’ve only shown up in the OP and Ep.4 for a couple seconds so far. June 8, 2018 at 6:47 pmYou know, for kids! My biggest complaint about the Persona games is how the S.Links are so detached from the main story. Doesn’t matter what Rank the Link is at, the character is gonna act one way during the main story and that’s it. If they’re involved in the main story at all. 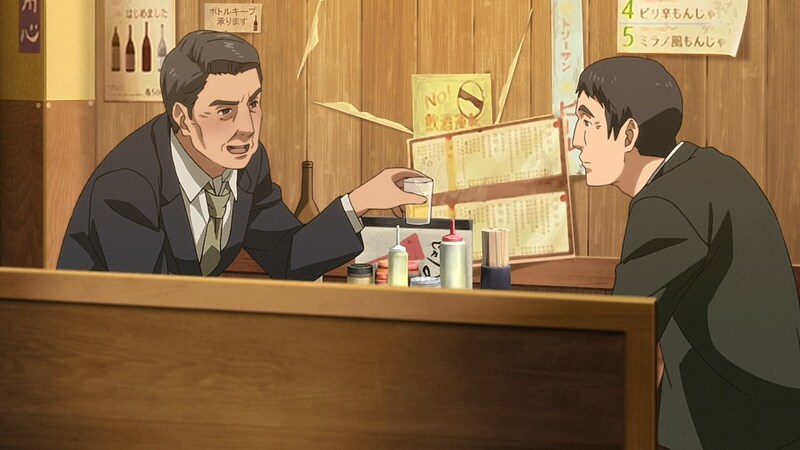 Good to see the anime change things up a little and take even a few small steps to fixing that. Yeah, I think Ryuji suffers from that the most. 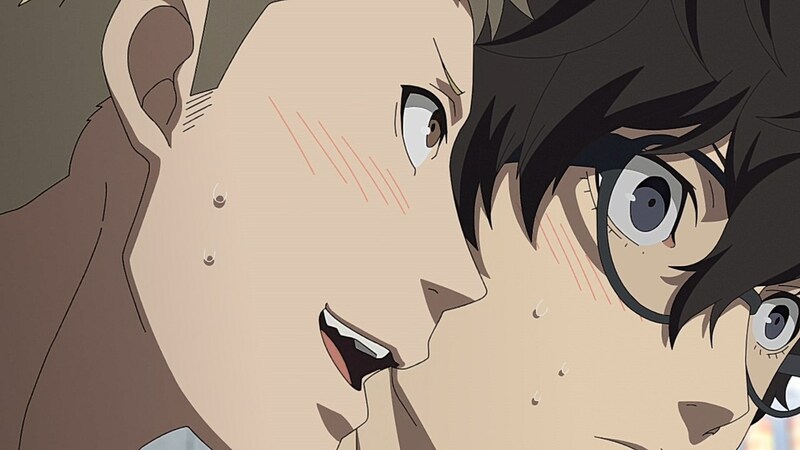 His confidant would have you believe that he is becoming much more introspective in how he examines his own behavior, thinks more carefully about the outcomes of his actions, and looks to Ren as a reliable and important partner that helps him think more clearly. 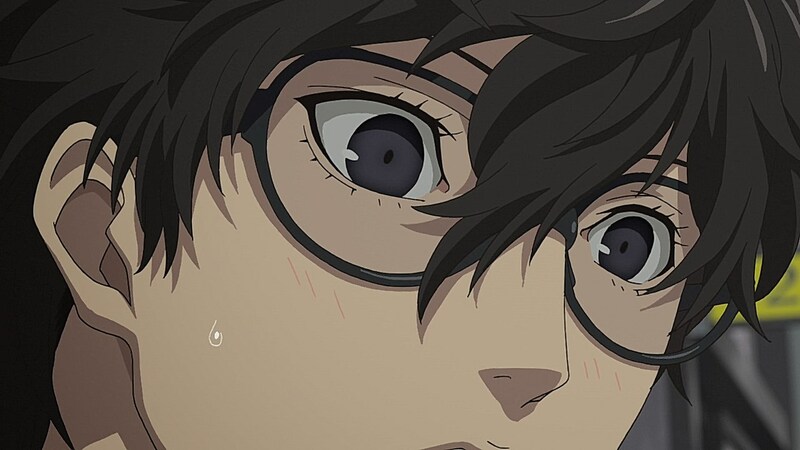 Then in the main story, he’s going on about wanting to come forward and reveal his identity as a Phantom Thief so he can win girls over with his celebrity status, or going out of his way to get Morgana back by rubbing in his faults in his face. 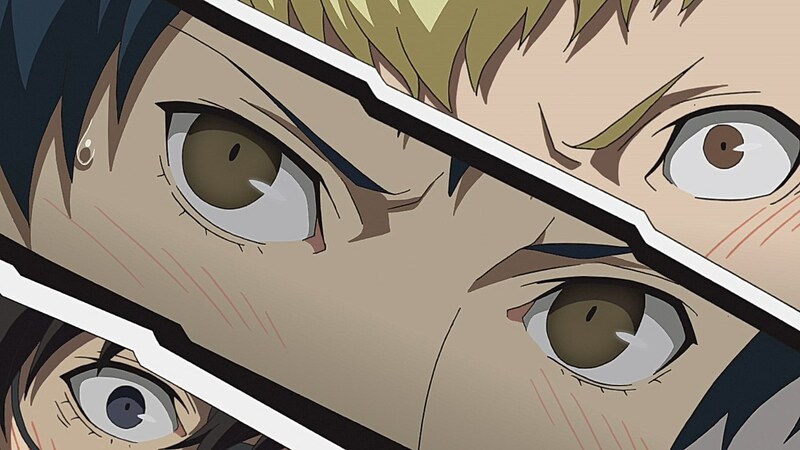 The anime does tone down much of Morgana’s teasing, so hopefully they won’t make Ryuji’s faults as out there as they were in the game, especially now that they covered Ryuji’s confidant section in the anime. 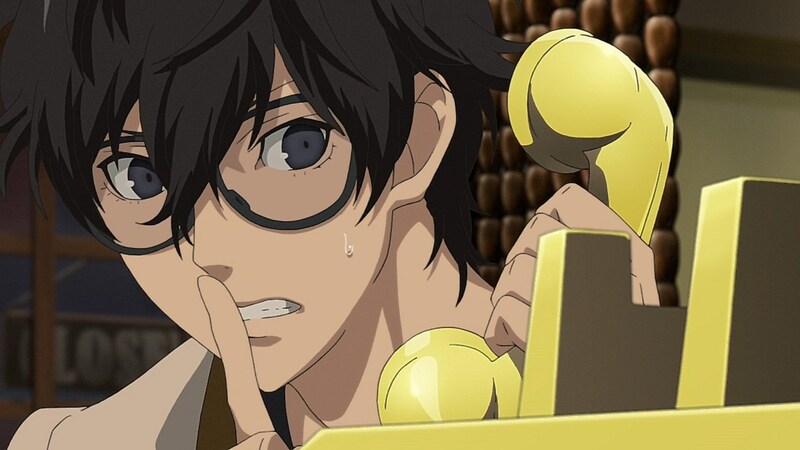 If they use his confidant experience to at least make him more tolerable during those segments of the game, it’d be a valuable way the anime could improve on the missed opportunities in the game’s story. In the game, she says she picked up the skill of tying her hair into pigtails after all of the times she’s been asked to help one of her next-door neighbor’s kids tie theirs up. There’s probably extensions too for the extra volume, but her skills are chalked up to tying abilities. 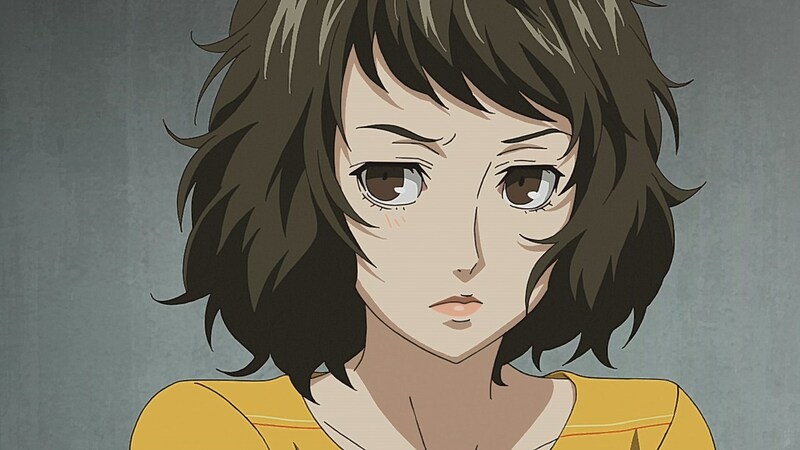 I’ve always been partial to the shaggier hair she has as a teacher, but I feel like it’s easier to tell that Kawakami is Becky in the anime art because it doesn’t make her pigtails look like a weave like in the game portrait. 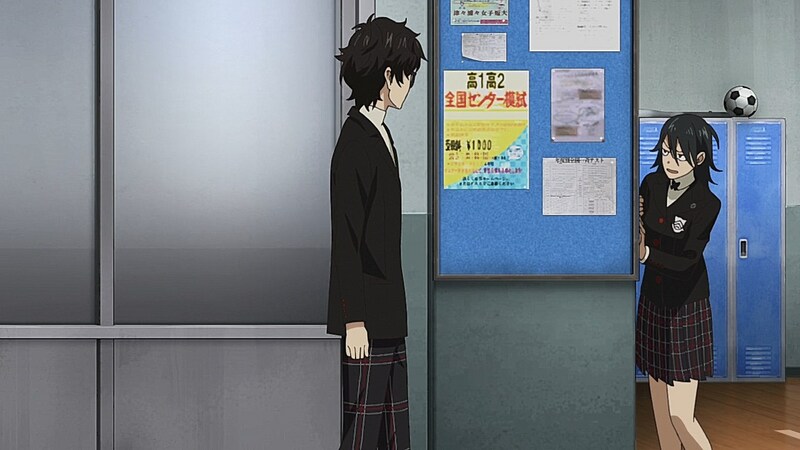 The guy that Yumeko is stalking looks alot like Ikesugi-kun so it seems that P5′s anime hasn’t forgotten their side story. 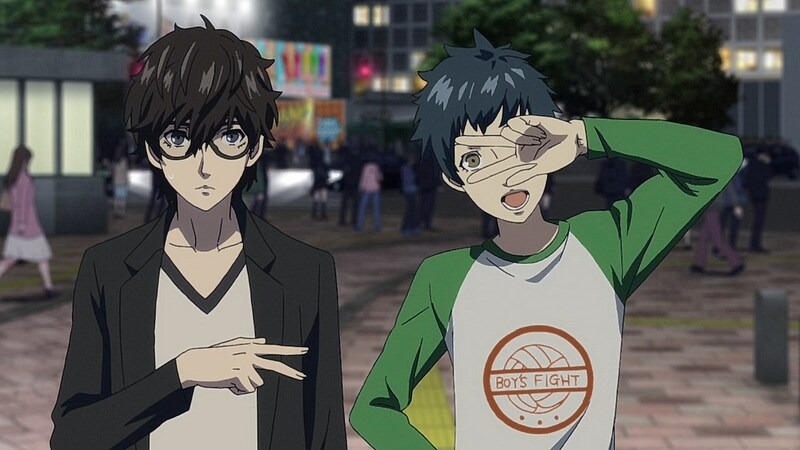 I’m hoping there’s more NPC’s from the school and city that show up as well like the student who is convinced he’s a Phantom Thief, the teacher/student pair that like to chat about gossip, the two gym students who want to have a war about which of their sports will take volleyball’s place, and the guy in the city that likes talking to the cat. Ah, thanks. 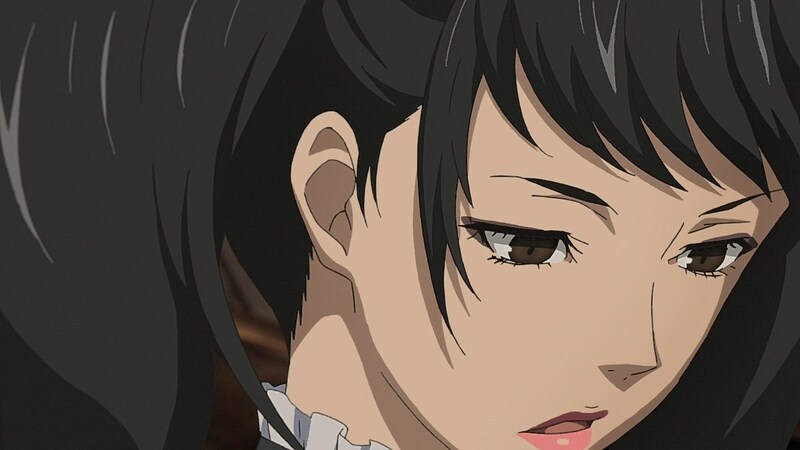 As a plus, Ms. Kawakami’s bedhead is reminiscent of Amagami‘s Kaoru Tanamachi. 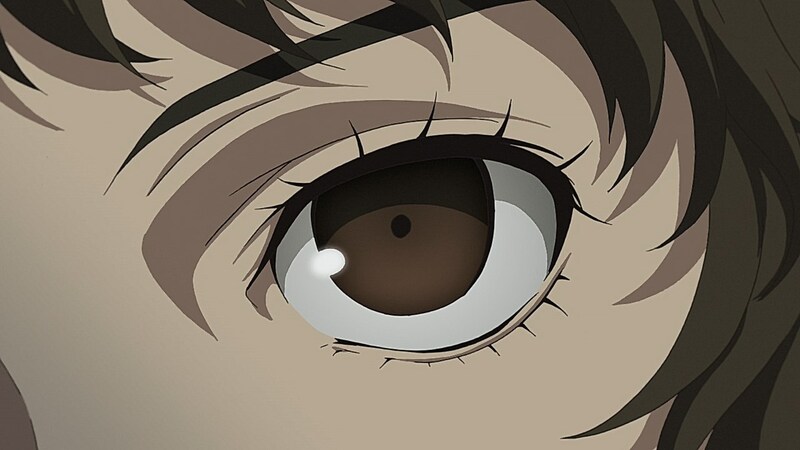 I’d love to see the anime delve deeper into Kawakami’s backstory (as well as that of the other Confidants), episode time constraints aside.